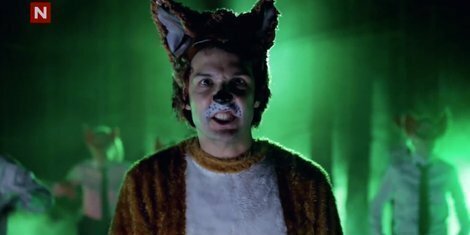 Have you heard Ylvis's new single "The Fox"? If you haven't please watch and listen to it here. The Norwegian duo's music video went viral on Friday and is now approaching seven million views, leaving us wondering whether or not this is a masterwork of pure genius. Ylvis consists of two brothers, Vegard and Bård Ylvisåker, who are a popular comedy duo with their own late night talk show in Norway. According to Billboard, Ylvis are known for their parody videos. Their most recent one, "The Fox" pokes fun at the recent EDM craze taking the world by storm. Bård Ylvisåker, one half of Ylvis, sat down with Billboard to talk about the overnight success of the song and the inspiration behind it. The idea behind the video and song came from the production company, Stargate, owing the brothers a favor. This favor consisted of Stargate producing a song in exchange for Ylvis making a video for a birthday party. Ylvisåker told Billboard, "We thought it would be more fun to kind of abuse them somehow. We thought hey, we have this old idea about the sound that the fox made, because no one really knows. So we decided to do that instead of something intelligent, a hit. Which kind of backfired." He also mentioned that they made the video for their talk show, Tonight with Ylvis, which is set to start its third season this Tuesday. The two knew "The Fox" would receive some attention but did not anticipate the viral success at all. Bård Ylvisåker spoke more with Billboard about Ylvis's plans for the future and whether or not we can expect an album. Read the full interview here. Ylvis plans to release "The Fox" as a single Monday on iTunes. You know you want to buy it, don't deny it.